Let your hair down and prepare to laugh out loud! They are back! Laugh along with the Women of Faith® speakers and other well-known humorists, writers, and thought leaders as they share a multitude of gentle chuckles and roll-in-the-aisle hilarity in their brand new book of humor that will amuse, provoke laughter, inspire, and bring a smile to the faces and hearts of readers everywhere. Heartwarming and wholesome, Laugh Out Loud gives you a moment of joy and laughter during busy days. Writers and contributors include Sheila Walsh, Patsy Clairmont, Thelma Wells, Marilyn Meberg, and more. 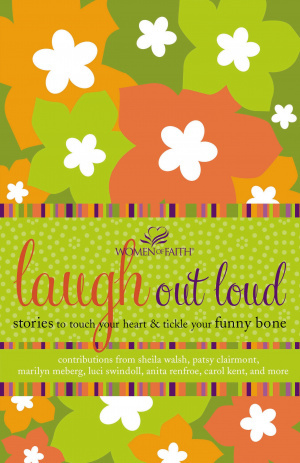 Laugh Out Loud by Women of Faith was published by Thomas Nelson in February 2009 and is our 10301st best seller. The ISBN for Laugh Out Loud is 9781400280346. Be the first to review Laugh Out Loud! Got a question? No problem! Just click here to ask us about Laugh Out Loud.